Thank you to our AMAZING sponsors! Without you, we could not make a difference in children’s lives. 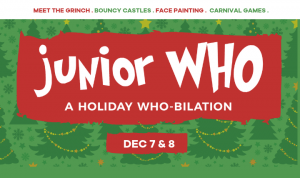 Stay tuned for more information on Junior Who December 7 & 8, 2019!